Asphalt sealcoating will turn boring or ugly asphalt into something beautiful, and that is why everyone should use it. They should make sure to hire a good company like ours to do the asphalt sealcoating that they need done, so that they will feel confident in how their driveway will turn out looking. Everyone deserves to have a driveway that they feel good about, and if they really want to make it stand out as being beautiful, then they should get the asphalt sealcoating done soon, and they should come to Murray's Asphalt Maintenance for this need of theirs. 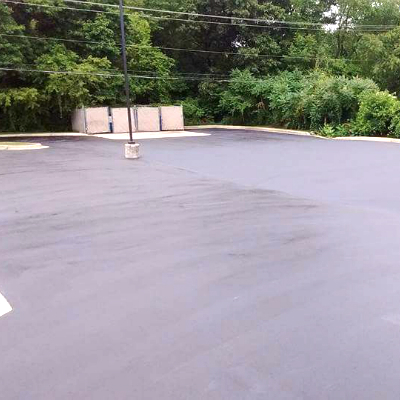 Fill Out The Form Below For A FREE Asphalt Seal Coating Quote! Everyone who comes to us for the asphalt sealcoating needs that they have will not feel disappointed. They will be left feeling grateful to us for making their asphalt look so great. Everything about it will be even better than they had imagined, and they will love that. They will feel that they whole outside of their place has been transformed thanks to the new look of their driveway. And any time that people come over, they will feel proud of how great their driveway looks thanks to the asphalt sealcoating that has been put on it. Asphalt sealcoating is really such a great thing, and once someone discovers that, they should share it with all of their friends and relatives. They should let them know how great they think this is, so that their friends will be smart and get asphalt sealcoating done at their home, too. Everyone who has asphalt sealcoating done to their driveway is going to feel good about it, especially if they have a company like ours do this for them. 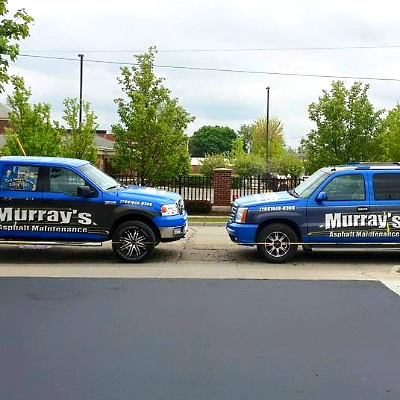 We at Murray's Asphalt Maintenance know how to get the asphalt sealcoating done well, and we work hard to make sure that we do good work for everyone who hires us. We are trained to take care of the asphalt sealcoating in the best way, and everyone who hires us can trust us because of that. They can know that they will get good work done for them when we are on the job. They can trust their driveway in our hands, and they can know that we will work at this as quickly as we can. Soon, thanks to the efforts we will put in, they will have a driveway that looks great. They will love how dark and beautiful it is, and they will really appreciate the way that the asphalt sealcoating does transform their whole property. So, anyone who is thinking about asphalt sealcoating and what it can do should know that it is really a good thing. Asphalt sealcoating can take a driveway and make it look completely new and different. 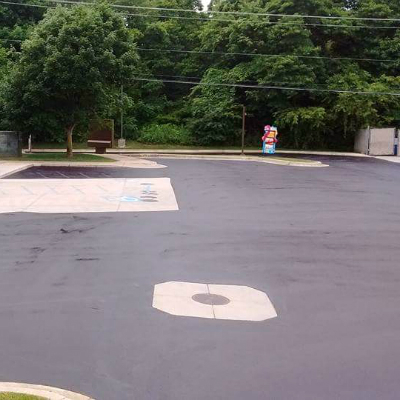 It is great for everyone who wants to see a transformation made, and everyone who wants asphalt sealcoating done should contact us at Murray's Asphalt Maintenance. We are here to give everyone the help that they need in regard to asphalt sealcoating. We love working with this and getting the job done well. We know that people care about how their driveways look, and we care, too. We want to do the best job that we can as we work with asphalt sealcoating and try to get everything done well on each driveway that we do the asphalt sealcoating on.